"The Lungs of the Earth"
The aesthetic value of trees in Charlotte is obvious as we view a wide array of tree life and travel through natural archways created by majestic Oak trees. Nothing created by man comes close to the beauty and aura emitted by these giants of the plant world. In addition to their beauty, trees have been called “the lungs of the earth” because they provide the atmosphere with oxygen and absorb pollutants. Trees help to prevent run-off and erosion with lessened rainwater impact upon the earth and more stable soil where root zones exist. This in turn leads to fewer pollutants in streams, rivers, and lakes. These gentle giants shade and cool us in the summer and generously allow us sunlight in the chillier part of the year. They save us money in the long run and add property value to our homes and places of business. If you need more convincing, just go stand beneath the crown of a large, beautiful tree and gaze into its canopy for a while. Trees are a vital part of our earth’s ability to function. Support them in every way possible and take care of the ones that exist on your property. Call AAA Tree Experts today so that we can help you take care of these valuable assets. 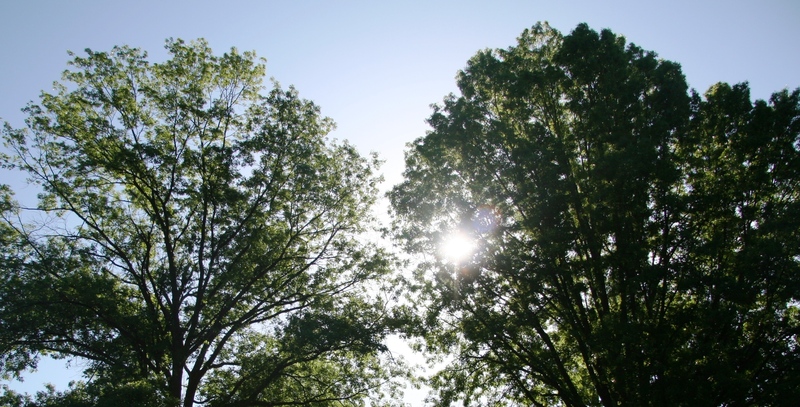 We offer Tree Pruning, Deep Root Fertilization, Trunk Inoculation, and all aspects of tree care.